One sentence that carries with it five generations of history, of employees, of families, of customer service, and of technological foresight. 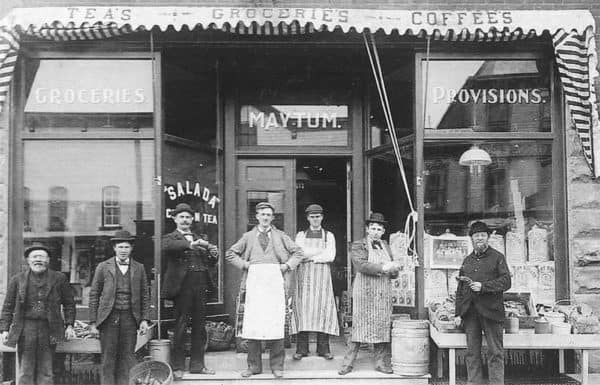 In 1898, Arthur Maytum, who already owned a grocery store at 24 Water Street, began offering telephone service to the residents of the Village of Fredonia. It didn’t take long before the demand for this instantaneous form of communication grew, and Arthur leapt at the opportunity to provide it. The company, incorporated as the Dunkirk and Fredonia Telephone Company, soon moved to the top floor of a facility on Main Street, and a staff grew to compensate for a increase in services. A room full of operators running plug-boards (hand-run switchboards to connect one call to another) connecting party lines (a group of homes or businesses running on the same line – so you could listen in on a conversation – which of course you didn’t do…) required the latest and greatest in telecommunications technology. Enter the rotary telephone, introduced in the early 20th century. This handy tool allowed you to dial exactly who you wanted to, with a direct and instantaneous result. From there, things escalated quickly. The later 20th century saw the advent of the ‘Internet,’ a public data-transfer service that allowed the sharing of digital information via telephone lines. Dial-up internet allowed you the resources of the world from the comfort of your own home. DSL access rose to replace it with data speeds increasing exponentially – essential as the size of data files grew at the same time. Today, DFT Communications stands at the forefront of the telecommunications industry in the Chautauqua County area, and beyond. Providing astoundingly fast speeds via fiber-optic cable, state-of-the-art digital phone systems, monitored security services and reliable IT management have allowed DFT to remain a staple of success. All while being owned and operated by the same family for six generations. 2018 is slated with a number of events the company will be highlighting to celebrate their 120th anniversary. To kick off the year of celebration, Fredonia Mayor Athanasia Landis has proclaimed Saturday, Feb. 17 ‘DFT Communications Day’ in honor of the achievement. Looking to the future, DFT will continue to expand and improve on its existing networks, ensuring great service to current and new customers. A recent New York State grant will allow for hundreds of miles of fiber-optic expansion, brining high speed internet to previously inaccessible rural areas. 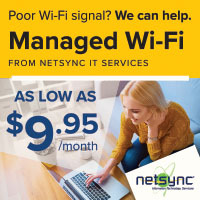 The Netsync Store, located at 38 Temple Street in Fredonia, provides fast, expert computer repair and IT management services to residential and business customers. For more information on DFT Communications, visit www.dftcommunications.com or follow them on Facebook and Instagram.